Featured videos for all categories: E-mini, gold, currencies, financials, forex, scalping and more! Day Trading the Euro Currency with Amazing Results! How do you determine if a day trading method is good or not? Consistency in all market conditions. You can see how the Atlas Line indicates to go Short and Long and how it pays off to have the right day-trading tools. Using only price action and the Atlas Line,this resulted in a nice 1 point winner. This gives us a daily potential of 32 ticks if you traded using the Atlas Line. The Atlas Line doesn’t readjust or recalculate itself. It starts plotting the same time every morning and continues in its path for the rest of the day calling out the trades you should be taking. The ATR gives us a clear volatility indication for us to know when to get out. All in all, the combination of the Atlas Line and ATR leave little doubt for a day trader, allowing him to get in and out with profits and ease. Simplify your trading, gain confidence and make the right trading decisions with the right tools. 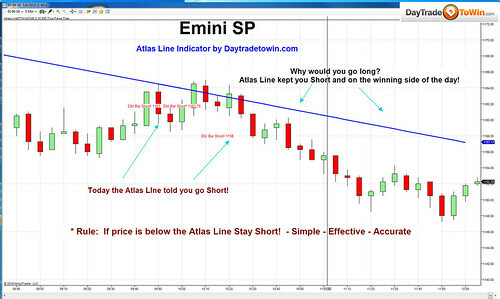 Check out the latest Atlas Line Webinar video from John Paul at DayTradetoWin. In the video, he answers questions from real people and offers free trading advice. This guy really knows what he’s talking about – watch as he navigates the markets and offers his wisdom using price action and his Atlas Line indicator! 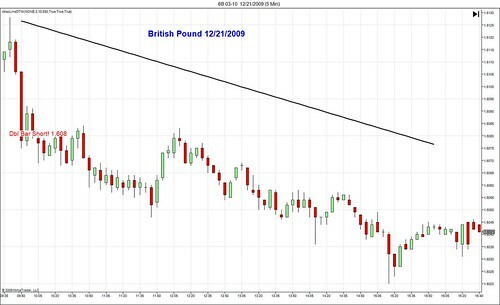 British Pound with price below the Atlas Line stay short!